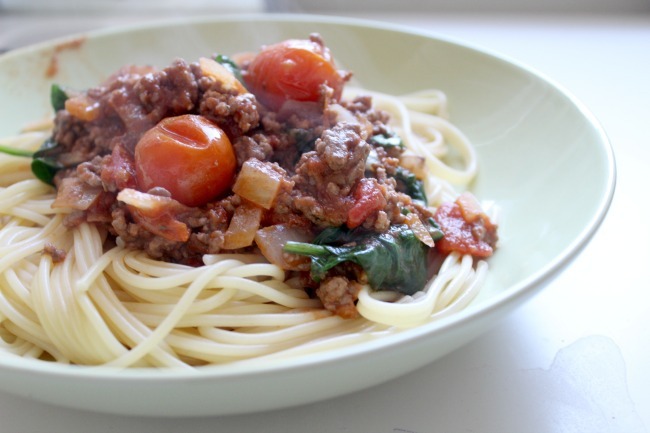 Spaghetti bolognese is one of the first dishes I ever made for myself. It kinda got me through uni, with a little help from Dolmio of course. But for years it was my backup dinner; a really simple thing that I could fling together with zero effort and I didn't really enjoy but found bearable because it was easy. Over the last year or so I've moved away from 'bog standard' spaghetti bolognese, and started experimenting with ways to make it more interesting and, y'know, actually tasty. 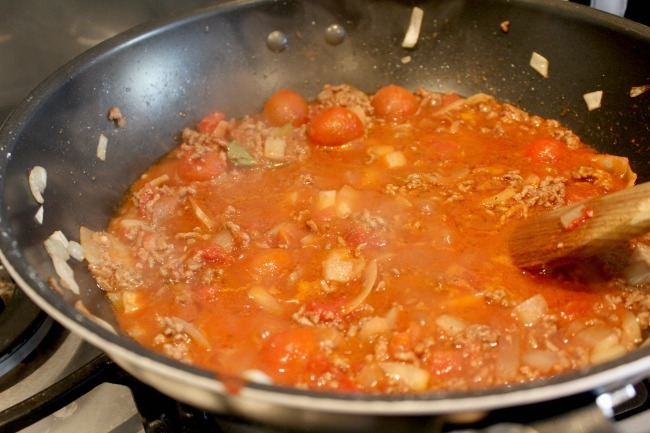 So, without further ado, here's my spaghetti bolognese recipe. If you're a Dolmio kinda gal or guy like I was, then get ready to have your opinions changed. FYI, I still go for a premade sauce sometimes, but if I'm having people over, or want something a little special, then this is is what I'd make. 1.) Brown off the mince in a big frying pan or wok. 2.) Add the onion and garlic. Fry for two minutes. 3.) Add the red wine and bay leaf. Simmer for five minutes. 4.) Stir in the tomatoes (both types), vinegar, worcestershire sauce, herbs and seasoning. Bring to the boil and allow to simmer for 20 minutes. 5.) Whilst this is simmering, boil some water for the pasta, and cook for as long as the instructions on the packet tell you. 6.) 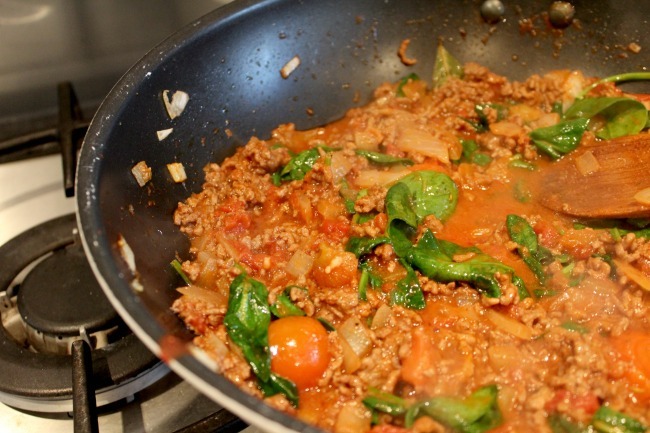 Once the 20 minutes is up, stir in the spinach and cook for two minutes, allowing it to wilt. 7.) Serve the sauce atop the pasta. This looks so tasty, totally going to try this out! Steph, this looks incredibly delicious! I think bolognese can be made so interesting by adding in this to the mince! That would definitely work too, or quorn mince! I love spaghetti. I could literally eat it every day. Yours looks so delicious. I feel you on that one, pasta is amazing! That sounds delicious, I really want to try getting into eating quorn more often again! 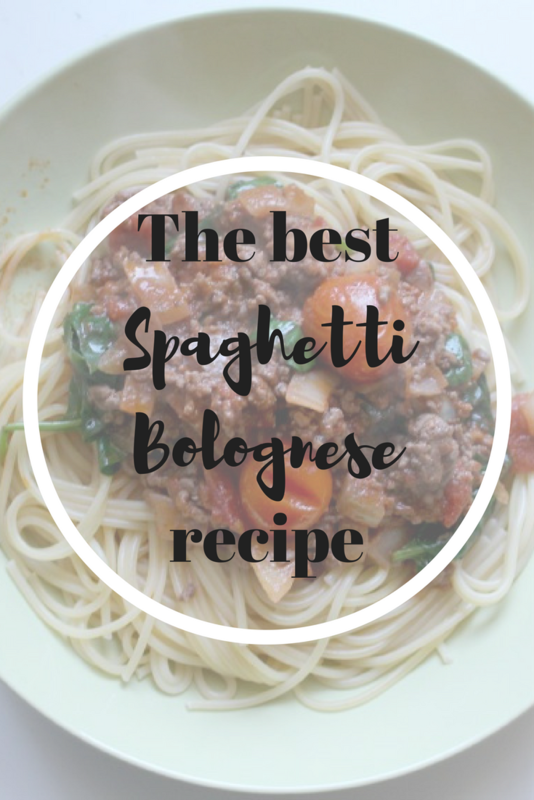 bolognese is my favourite food ever and your post made me so hungry. i will make it today. 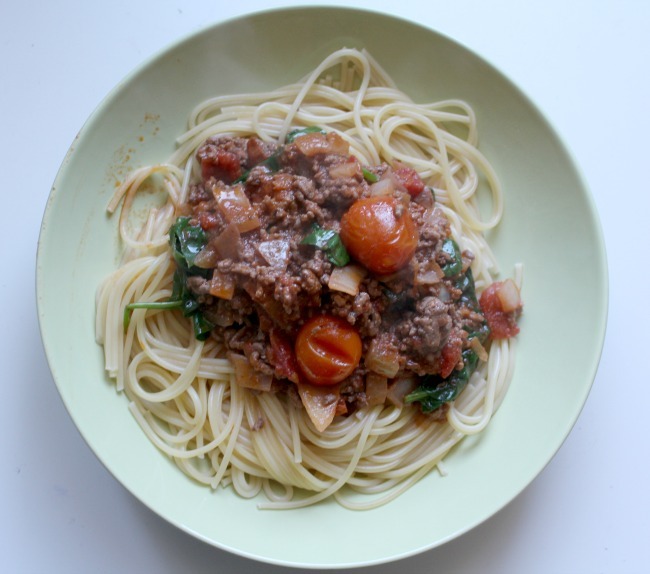 I love bolognese too, it's such a good comfort food!